Equal pay legislation banning salary history questions is based in data. The just-enacted laws haven’t been studied, but the research is there. It passed anyway, and lawmakers in other states and cities are now pushing similar measures. Philadelphia’s ban on asking for salary histories will take effect in May, though conservatives in the Pennsylvania state Senate are trying to block it and the city’s Chamber of Commerce fervently opposed it. New York City passed its ban last Wednesday. California’s ban took effect in January as an amendment to an existing fair pay law. Washington, D.C.’s city council is considering a similar bill that would also require employers to publish salary ranges for open positions. And D.C.’s delegate to Congress, Eleanor Holmes Norton, has joined several members of the House in proposing a federal prohibition on mandatory salary-history sharing. Bloomberg is right in at least one regard—there has been no specific research on the efficacy of laws that keep employers from basing new workers’ salaries on their old ones. Here’s why: These kinds of laws have never been enacted before. The Massachusetts law doesn’t take effect until summer 2018, and researchers will need at least three to five years of data to come through before they can make an educated assessment of the law’s efficacy. When legislators and advocates draft new laws, they don’t always have concrete proof that the laws will work as intended—they draw on whatever data and existing research they can find to make their best guesses, then evaluate progress later. There has also been significant research on what’s called the “anchoring effect,” a cognitive tendency that biases people toward the first piece of information they encounter in decision-making processes. 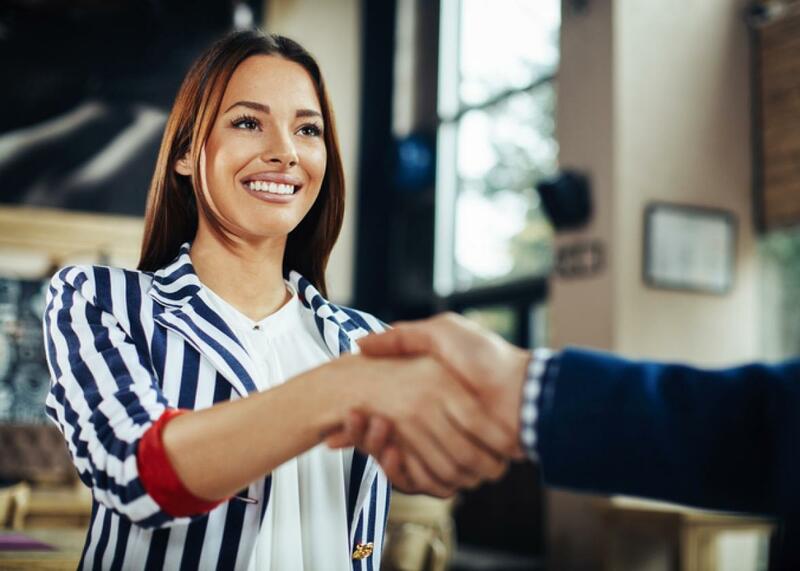 A University of Idaho study published in 2011 showed that the first number offered by a job applicant in a salary negotiation, even an “extreme implausible” number, provided an anchor that raised the applicant’s eventual offer. If the first number in a salary negotiation is an applicant’s existing low salary—perhaps one that’s lower than it should be due to race and/or gender bias that’s squashed its growth—the employer’s offer will likely be lower, too. Recruiters and job-search platforms can provide some insight. Hired, a clearinghouse for tech and start-up gigs, analyzed 100,000 job offers for 15,000 applicants from 3,000 companies last year. Men got higher salary offers than women for the same job title at the same company 69 percent of the time. Because of the lack of public pay data, though, a lot of salary information we have comes from documents revealed through lawsuits. In 2004, Boeing paid $72.5 million to female employees who’d filed a pay-discrimination suit against the company and proved that women were getting paid less than men. Hegewisch says a large part of this systemic wage gap stemmed from quick hiring waves in which company leadership authorized lower-level managers to offer new hires 20 percent on top of whatever they were making at their current jobs. Every time they did that to a man and a woman who were already coming in at different salaries from similar previous jobs, Boeing widened their internal wage gap. When those new employees got 10-percent raises after a year or two, the gap widened further. It doesn’t take a Ph.D. to understand how hiring managers piling 10- or 20-percent raises on salaries that start out 6.6 percentage points apart will yield very different lifetime incomes and impede women’s economic advancement. But banning employers from asking about past salaries could also help prospective employees coming in with other disadvantages. Hegewisch says AARP supports this kind of legislation because older workers who’ve lost their jobs but were making higher salaries sometimes have trouble getting interviews with managers who think they can’t afford such a well-paid employee, even if the job applicant is perfectly willing to take a pay cut for a job. Other people who’ve left the workforce for a couple of years to care for an elderly relative or child can face very steep penalties when they return, because their skills might have lapsed. Five years down the line, they’ll be more than caught up, but their salaries never will if they’re always based on their previous pay. Katie Donovan, the founder of consulting firm Equal Pay Negotiations, helped write the Massachusetts legislation after years working in staffing and software development for job-recruiting tools. She told Slate that recruiters will often use a previous-salary question to help them narrow down a group of hundreds of digital applicants. Their attitude is “too high, we can’t afford you; too low, you must be bad at your job, or you’re not a high enough level,” Donovan said. Managers will often assume they’re missing something if they see a someone coming in with a too-low salary, even if it’s higher than what she should statistically be earning for her race and gender. So these are the potential benefits of the equal-pay legislation that’s sweeping liberal cities and states around the country: fewer opportunities for companies to judge employees based on previous pay instead of qualifications; a more-level playing field for women and people of color who face barriers to earnings straight out of the gate; and a surely imperfect but nevertheless significant obstacle inserted into the cycle of gender discrimination, low pay, and respectively low raises that compound over a woman’s lifetime. The potential downside, according to Bloomberg—besides the possibility that the legislation might not do what lawmakers hope it will—is that employers might lowball women because they’ll assume she earned low pay at her current or previous job. The good and bad news is that companies already make women lower offers than they make men, and with more online resources for salary research than ever, there’s only so much lower employers could possibly go. There’s also no provision in these laws that bans employees from voluntarily disclosing their current salaries if they think it will help them in the negotiation, so if a lowball offer is truly insulting, applicants can reveal that information, as they’ve always been able to do. In the end, no matter the legislation, some determined businesses will find ways to continue paying women less than men. Hegewisch recalled talking to a woman who was proud to have negotiated her salary and knew she was making around the same salary as her male peers—only to discover later that the company was giving those men far larger bonuses than she got. “In a way, we know there is no silver bullet,” Hegewisch said. Keeping employers from relying on women’s past salaries will address one contributor to pay inequity, but yes, women will forever contend with lowball offers and sexist bosses. It won’t serve them any better to wait for a silver bullet that will never come.